Play the air piano in the middle of the street and be part of a dancing gang? 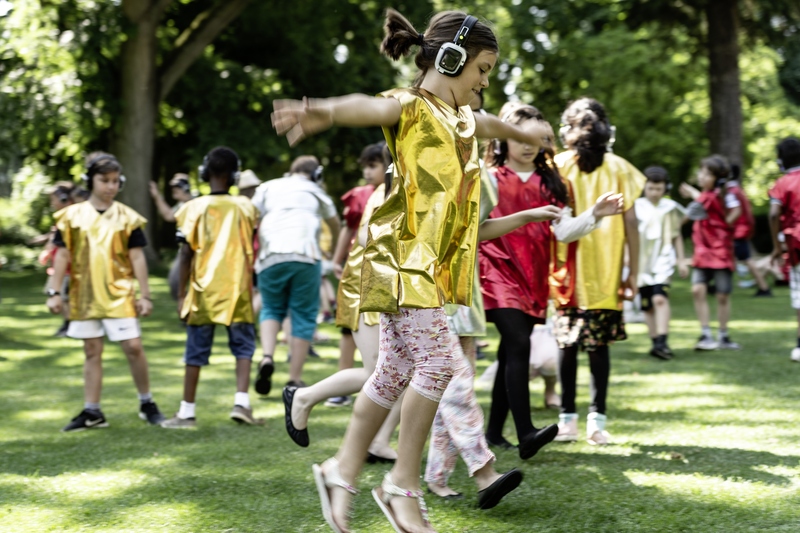 The performance collective LIGNA invites children between the ages of eight and twelve to take part in an extraordinary piece – equipped with headphones, over which a radio play runs, in which stories and movement instructions alternate. Thus, dancing, they conquer a central square in Dresden and try out how to move together in a randomly assembled group without a leader. The choreographer Jenny Gertz (1891-1966), an almost forgotten pioneer of modern dance and visionary in her work with children, is the creative force behind the piece. She worked as a dance teacher with Rudolf von Laban. The performance collective LIGNA exists since 1997 and consists of the media and performance artists Ole Frahm, Michael Hüners and Torsten Michaelsen. Among other things, they work at Freie Sender Kombinat (FSK), a non-commercial Hamburg radio station. 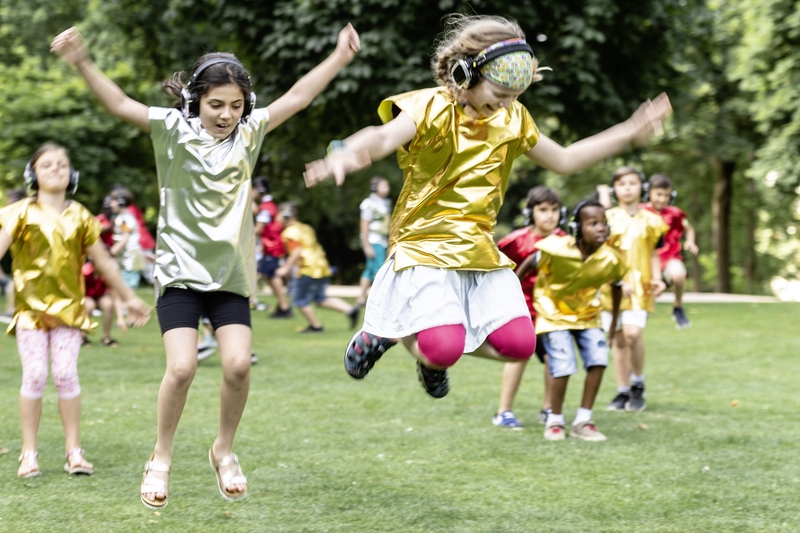 The event on 22.09. will take place as part of the Children’s Biennale of the Staatlichen Kunstsammlungen Dresden. 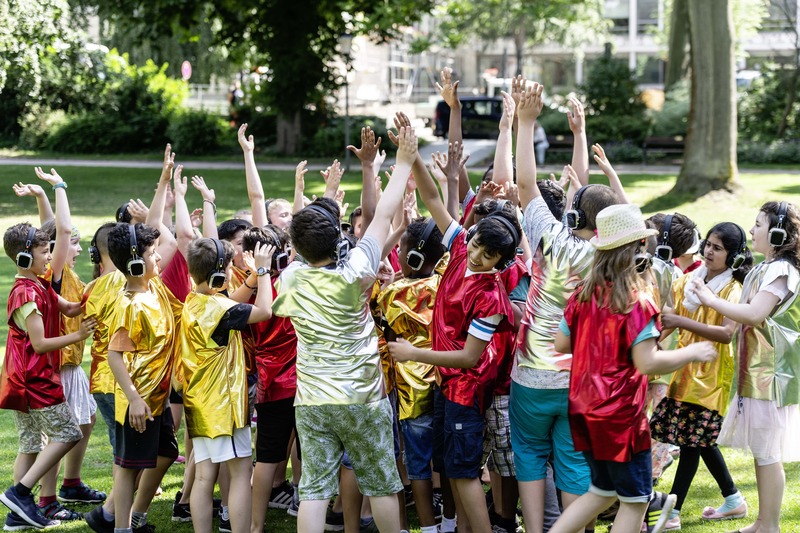 “Klasse Kinder” is a production by Künstlerhaus Mousonturm and Hessischem Staatsballett im as a part of the Tanzplattform RheinMain and the Künstlerkollektiv LIGNA, in in co-production Kampnagel with HELLERAU. Supported by NATIONALES PERFORMANCE NETZ (NPN) co-produced by the Federal Government Commissioner for Culture and Media.